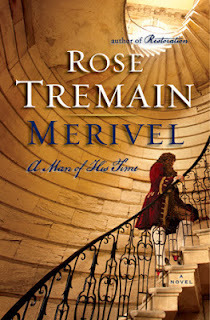 Description: Get ready to laugh, prepare to weep -- Robert Merivel is back in Rose Tremain's magical sequel to "Restoration." Robert Merivel, courtier to Charles II is no longer a young man -- but off he goes to France in search of the Sun King and to Switzerland in pursuit of a handsome woman. Versailles -- all glitter in front and squalor behind -- is a fiasco: Merivel is forced to share an attic (and a chamber pot) with a Dutch clock-maker while attempting to sustain himself on peas and jam and water from the fountains. Switzerland, by contrast, is perhaps a little too comfortable. But the lady, a clever botanist, leads Merivel deliciously on -- until her jealous husband bursts in with dueling pistols. As he narrates the picaresque journey, Merivel gets into all sorts of scrapes; he is torn between enjoying himself and making something of his life, through medicine and the study of science. He tries to be diligent, but constantly backslides into laughter and laziness. A big-hearted rogue who loves his daughter, his country house and the English King... Merivel is Everyman -- and he speaks directly to us down the centuries. "For the reason that you would not know of my falling, for I am a servant, Sir Robert, and have practiced the Art of Invisibility for these twenty years, so that the sight of me, whether upright or lying down, be never troubling to you." "and this I find I do dislike among the very pious, that they must always assume a man's soul requires their Intervention, without first politely inquiring whether that soul wishes it or not." "Of course. You held Wonder in your hands and than you lost it."